Mud Map Designer v1.10 – Outdated! PROJECT HAS BEEN UPDATED: CHECK IT OUT! Since I started getting alot of emails about the Map Designer and a few missing features, I decided to update it. It’s more based on a general MUD rather then the MUD I currently play, which is Realms of Kaos. This should fill in some missing features you guys were craving. Let’s start from the beginning again. This is a project I worked on a couple years ago, because I didn’t feel that there was many mud map editors around that were easy to use or lacked alot of features. Some didn’t even work on 64-bit processors because of the removal of 16-bit applications.. Yeah, applications are that old typically when dealing with map designers for mud based games. REQUIRES .NET FRAMEWORK 3.5 <– Should come with Vista/Win 7.. If you need it, you can get it at the microsoft website here. My map designer should be pretty handy for builders and people who just like to plot out mud maps in general. 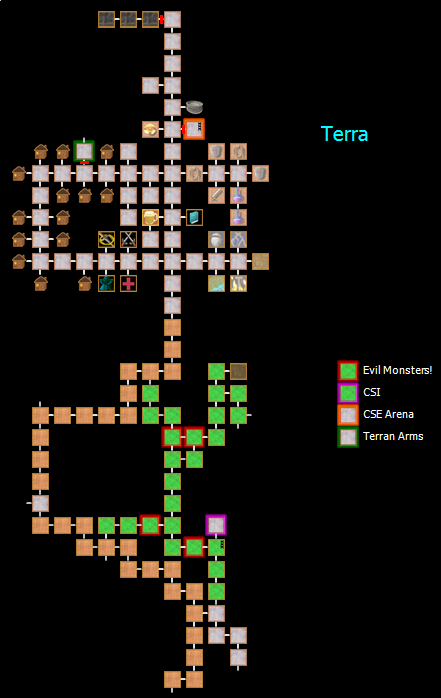 I’ve made it so you can add and change the map icons it uses on the fly, so it is suitable for any game.. There are two current icon sets, “Kaos”, and “Basic”. The rendering and export qualities are now defaulted to “High”, but you can change them in the options area if you prefer to work with a lower quality map during editing. I highly suggest leaving the export to high however. I’ve left in the options for very low end machines. -You can now map NW/NE/SW/SE! Though my mud map game did not use it, I’ve updated it because so many people requested it. -You can now add lines. Each line uses a block (similar to adding a block to a map). There are different types of lines, you can cycle them with B and N keys. They can also be changed color wise. -The toolbar has been organized a bit better and goes from left to right instead of up to down. I plan on having support for more then 36 icons in the future, so the coding I added here is a stepping stone. -A couple bugs that were left in 1.02 were updated and fixed. Hopefully this one should be completely bug free, but if there are any issues I will fix them as fast as possible! -Compatible with upgrading older version maps without loss! -You can save, load, or export maps. You can export maps into one of the following image types: PNG, GIF, JPG, BMP, or TIF. -Export & Render Options to make the map stand out more with cleaner graphics/smoother design! -W/S/D/A/Q/E/Z/C keys for generic map placement. -Ability to make large maps. Use the right mouse to pan the screen. -Ability to resize current view from 35% to 150%. 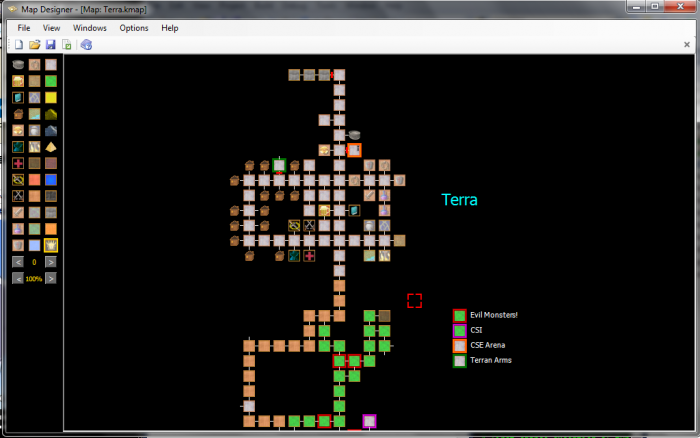 -Map different levels in the same map file! This means you can level something large, such as towers with multiple room levels or basements. -Add special room ‘auroras’ to make a specific room stand out. -Add labels, color them, size them. 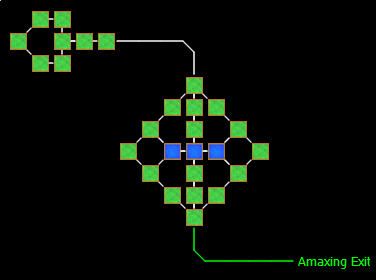 -You can disable/enable draw mode to move around without drawing! -Full use of mouse control. Use of multilevel dungeons and different icon skins! Please view the ‘keys’ in the HELP area to know what you are doing!!! 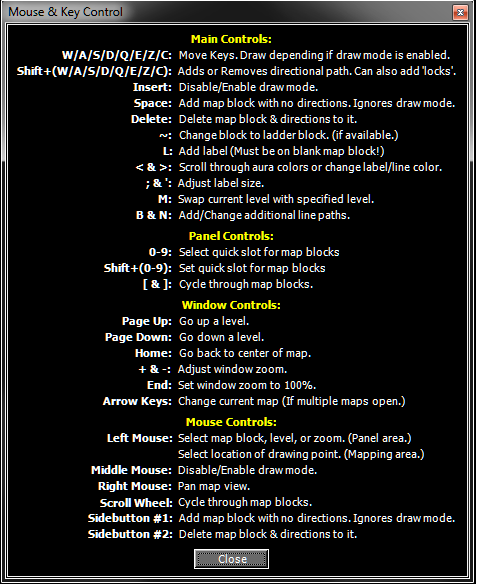 Mud Map Designer v1.02 – Outdated! Mud Map Designer v1.23 – Updated! Mud Map Designer v1.20 – Outdated! Looks very interesting. No source available? Perfect! Thank you for this amazing tool. Throughout this great scheme of thgnis you’ll secure an A with regard to hard work. Where exactly you confused me personally was in your particulars. You know, people say, details make or break the argument.. And it couldn’t be much more accurate here. Having said that, allow me tell you exactly what did do the job. Your article (parts of it) can be incredibly powerful which is probably the reason why I am taking the effort to opine. I do not really make it a regular habit of doing that. Next, although I can certainly notice a leaps in logic you come up with, I am not really confident of exactly how you appear to unite your ideas which inturn make your conclusion. For right now I will, no doubt yield to your point but hope in the future you actually link the facts better. I comment once i like a post on a web page or if We have soehmting to add on the conversation. Usually it is usually a result with the passion communicated in the put up I browsed. And after this report Audi A6 3.0 TDI quattro Consumption and Costs | Cars Show. I used to be really moved enough to put up a leave a responsea response I do have got a few of questions for you if it’s okay. Could it be just me or does it look like like a few in the remarks seem as whenever they are written by brain dead folks? And, if you are writing on additional places, I’d like to keep up along with you. Would you make a list the complete urls within your manifeste pages like your linkedin profile, Facebook page or twitter feed? Thanks for action the moment to discuss this, I feel strongly around it and love learning many on this topic.I have site around this best poker rakeback If potential, as you gain expertise, would you notice change your blog with much information? It is highly helpful for me. shattered, regardless of the money you’re producing. for the majority of the crowd you might need to glance often in the potential to sell more passes in a smaller cost or lessen your bills. Copyright Chris Valleriani's Blog. All Rights Reserved.